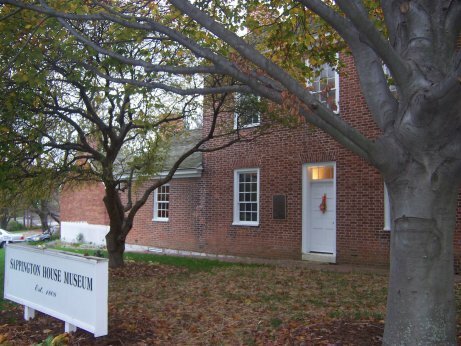 Listed on the National Register of historic places, the Thomas Sappington House was built in 1808 and is the oldest brick home in St. Louis County. In addition to the Sappington House, which is a museum, there’s the Library of Americana, plus the Sappington Barn Restaurant & Gift Shop. Map: Sappington House is right across the trail from the Dickson Cemetery. Turn south at Sappington (the only street crossing between Watson and Big Bend). Sappington House is at southwest corner. From highway 44, take the Big Bend exit (exit 278). Go east past the gas stations to the first major intersection (Sappington Road) after the gas stations. Go south on Sappington 0.3 mile. Sappington House is on the right (west side of road), just after the cemetery.